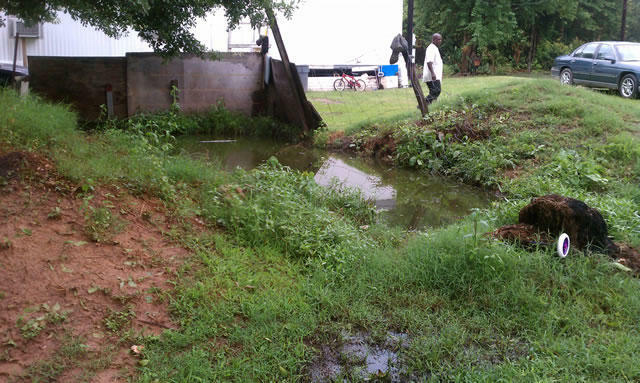 Untreated sewage pooling in a Black Belt-area neighborhood. In many parts of the Black Belt, homeowners are resorting to "straight pipe" systems to dispose of wastewater and sewage, rather than sewers or septic tanks because of a type of thick, clay soil and widespread poverty across isolated areas. In those instances, untreated wastewater and sewage are simply flushed out of a plain PVC pipe from the house into the woods, or even the backyard, raising concerns about tropical diseases like hookworm and other public health issues.